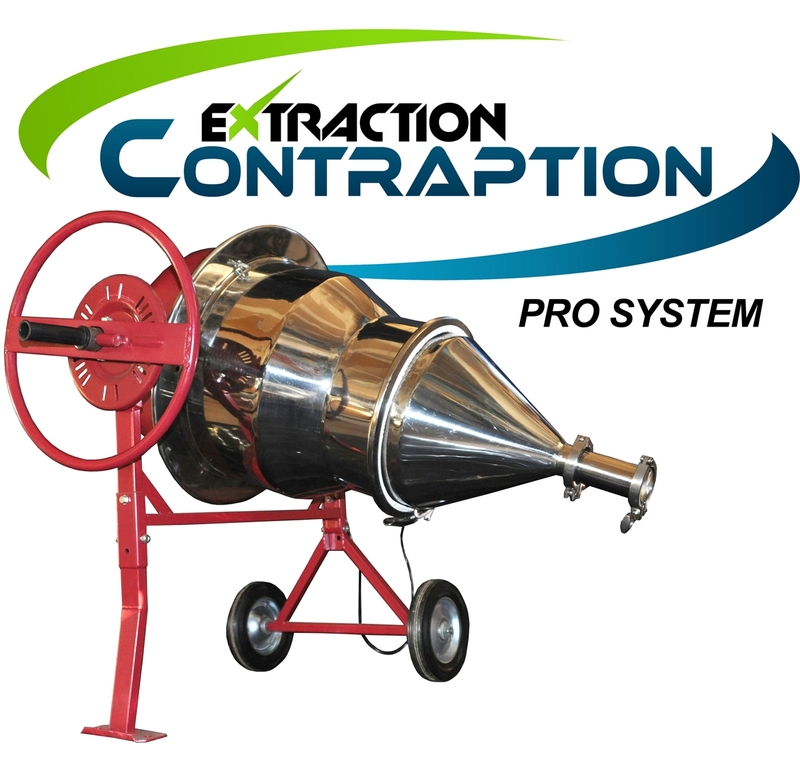 Extraction Contraption Pro System - ON SALE! - FREE Shipping! The Extraction Contraption Pro System harnesses the sub-zero temperatures of dry ice sublimation along with centrifugal force to produce plant essence in a fraction of the time of traditional processes. There is no water or harsh chemicals used during the extraction process. In fact, our process actually removes much of the plant's natural moisture. The final essence is a fine, dry powder. The Extraction Contraption Pro System is constructed of high quality stainless steel, and has an optional compactor so you can process and package your plant extraction quickly and easily. Plant processing times vary. Hardy, small mass plants like pine can take up to 45 minutes. rosemary takes approximately 30 minutes, while lavender can be processed in about 10 to 15 minutes. The Extraction Contraption Pro System is 100% food grade and is ideal for edibles, medicines and other plant essence products meant for human consumption. It can also be used to produce lotions, soaps, scents and other non-edible plant essence products.